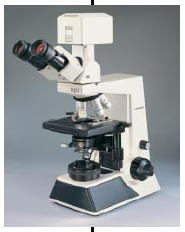 Digi1 microscope is versatile imaging system with built in imaging module. 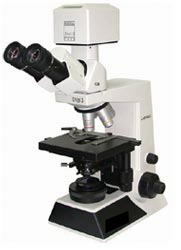 The microscope is primarily designed for students for image capturing and distant sharing. 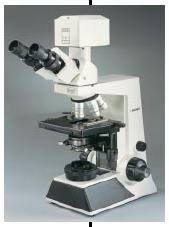 This combination of microscope, digital imaging system and software is easy to operate offering outstanding performance. Digi1 is supported with DigiProimaging software (v2.0) with latest features for image processing and measurement. This unique combination of microscope, image system and software makes Digi1 microscopy system a professional tool for education applications. LP series Semi Plan 4x, 10x, 40x (Sl) and 100x (Sl, Oil). 12V 20W Halogen LampCo-axial coarse and fine focussing mechanism system on ball bearing guideways. LABOMED Professional Digital Microscopes offer a complete high-end digital imaging solution. This combination of superior optics, high resolution digital imaging modules and a versatile software provides easy image acquisition, processing and analysis. The high quality images produced through Infinity Corrected Optical system are rendered with very high definition, clarity and contrast on computer monitors. This unique platform of brilliant optics, digital imaging sensor and versatile DIGIPRO software is an ideal choice for Education, Pathology and Life Science application. RP series Infinity Corrected Semi Plan 4x, 10x, 40x (Sl) and 100x (Sl, Oil). Koehler Illumination system 6V-20W Halogen with intensity control. Custom Reports, Time Lapse capturing etc. 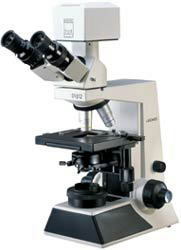 Digi3microscope is a professional digital imaging system for high resolution image capturing. Digi3has inbuilt 1.3 mega pixel digital imaging module for image capturing at high resolution. Digi3is supported with DigiProimage software (V 2.0) with latest features for image processing and measurement. DigiProsoftware is easy to learn and use. This versatile software offers all high end features for image capturing, processing and measurement. High contrast images are provided by integration of RP series optics and digital image module. 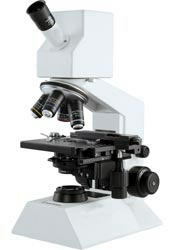 This unique combination of microscope, imaging system and software makes Digi3 microscopy system a professional tool for education, pathology and life science. U Shaped stand with plastic hand rest. VIEWING BODIES Sidentopf Digital Binocular tubes 1.3 Mega pixel digital imaging system, inclined at 30°. Infinity IP Series Plan Achromats 4x, 10x, 40x SL and 100x SL, Oil. DigiPro V2.0 featuring image capturing, storing, amalgmation, darkfield, emboss, RGB controls, sharp & solarize, marquee, marquee zoom, noise remove, blur, greyscale, Camera Lucida, White Balance, RGB, Brightness and Contrast on live image, measurement, custom calibration etc.